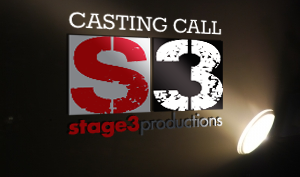 Stage 3 Productions (“Stage 3”) is always accepting query letters and inquiries for projects for development. Please submit a brief synopsis via email for each project that you wish us to consider. Given the large number of queries, we are unable to answer every email that we receive. If we are interested in learning more about your project, we will contact you regarding our submission procedure. If we request material from you, please download our standard submission form. By submitting to this website any comments, ideas, storylines, treatments, formats, literary material and/or any other intellectual property which may currently be, or in the future may become, subject to protection under United States or International copyright law (collectively referred to herein as “Materials”), you acknowledge and agree that other persons, including employees of Stage 3, may have submitted to Stage 3 or others, made public or may hereafter originate and submit, or make public, similar or identical materials, or materials which may be similar or identical in theme, idea, plot, format or in other respects to the Materials, which Stage 3 may have the right to use, and you understand that you will not be entitled to any compensation or credit as a result of Stage 3’s use of such other similar or identical material. By submitting any Materials to this website, you further acknowledge and agree that the use of such above-mentioned similar or identical material has given rise to litigation in the past, and that unless Stage 3 can obtain adequate protection in advance, Stage 3 will refuse to consider the Material submitted by you. This protection must be sufficiently broad to protect Stage 3, as well as Stage 3’s employees, agents, licensees, assigns and all parties to whom Stage 3 submits such Materials.